Pavia is a second class municipality in the province of Iloilo, Philippines. According to the 2010 census, it has a population of 43,614. The municipality is the Regional Agro-Industrial Center for Western Visayas and is located 9.6 kilometres (6.0 mi) north of Iloilo City. How the town got its name is unclear, and has long been disputed. 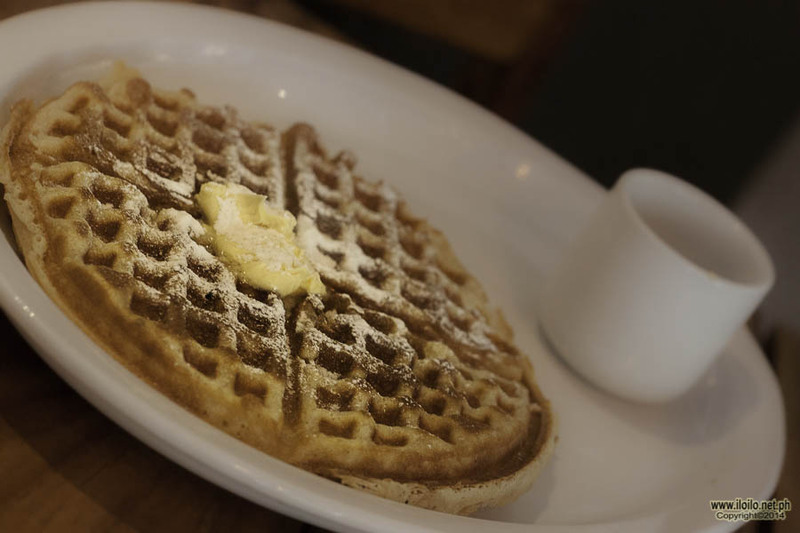 One theory has it that the name came from a certain Colonel Pavia of the Spanish garrison in Iloilo who was supposedly responsible for initially establishing a Spanish presence in the area. Others believe that the name is a Spanish corruption of the Hiligaynon word biya-biya, as the area was originally considered a neglected patch of land that served mostly as a camping ground for city sophisticates and absentee landlords. 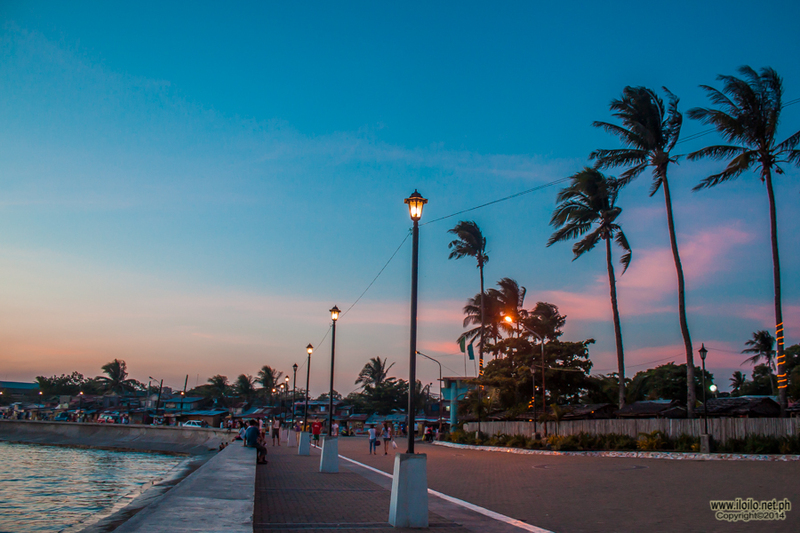 Others claim that the town was named after a Spanish governor-general, Manuel Pavia y Lay, Marquis of Novaliches, who eventually became a priest after his short tenure in the Philippines from 1853-1854. However, the more credible theory seems to be the overlooked fact that the town’s religious well-being was placed under the jurisdiction and supervision of the friars of the Augustinian Order, and they simply named the place in honor of the town of Pavia, Italy, where the founder of their order, Saint Augustine, was buried. The last theory seems to be supported by circumstantial historical evidence: it was also in 1862 that an independent parish dedicated to Saint Monica was established by an Augustinian friar, Policarpio Minayo. But it was only in 1889 when construction of the famous brick church—as it now stands—began. It was envisioned and built in the Byzantine style, with Romanesque design elements. Two Greek crosses dominate the facade, and the transept is round set against the rear wall. 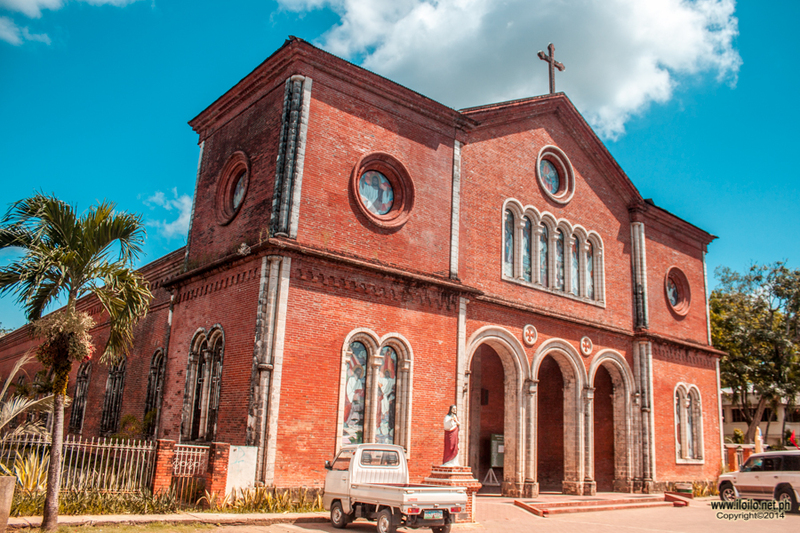 It is unique in the whole of Panay Island, as it is the only church built entirely of red brick, inside and out. Quite significantly, the church design was apparently inspired by the ancient royal arched basilica of San Michele Maggiore in Pavia, Italy—minus the front columns. Pavia was settled by Malays and later by Chinese approximately between the 15th and 16th centuries, according to archeological work at a Chinese burial ground in Cabugao Sur. The settlement had an estimated population of 200 to 400. Pavia was officially established in 1848, during the Spanish Colonial Era, by thirteen landowners in what used to be a “camping place”, a “settlement place” or an “abandoned place”. Pavia became a part of Sta. Barbara in 1901 and then in 1904 part of Iloilo City. In 1907, Pavia, together with Leganes, Iloilo and Jaro seceded from Iloilo City to become the suburb Jaro. Petronilo Gumban governed Pavia from 1916 until his election as Presidente Municipal of Jaro in 1920. 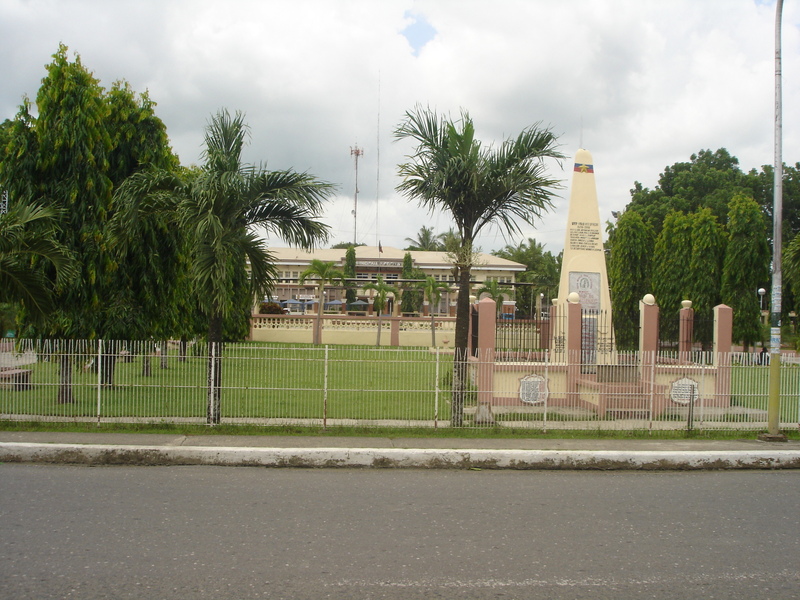 In 1921, Pavia led by Delfin Gumban became an independent municipality. Pavia is politically subdivided into 18 barangays. Pavia, since 1973, holds the Carabao-Carroza Race Festival every 3 May. The Carabao is made the “king” for a day, and the race features carabaos each pulling a bamboo sled or “carrosa” on a 400 meter course. Carrozas with native designs are also paraded as part of festivities. The Tigkaralag festival is the “only festival of its kind” in the region celebrated in consonance with All Souls’ Day. 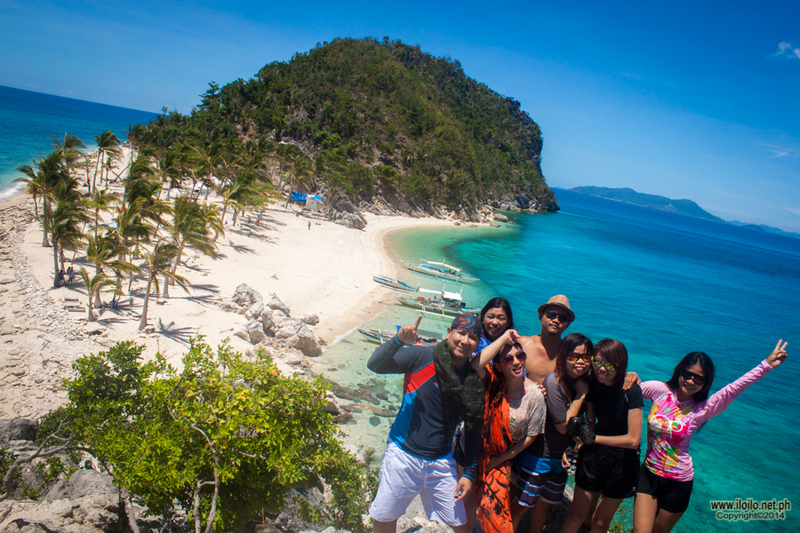 The term “TIGKARALAG” comes from Ilonggo words, “tig” which means “season of” and “kalag” which means”soul”. 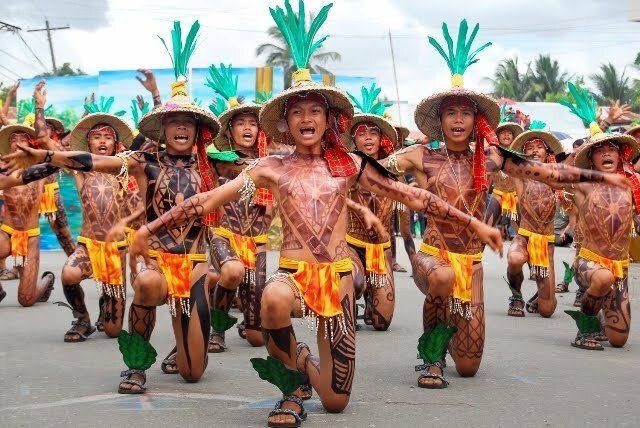 Participants from the 18 barangays wear tigkaralag costumes and parade themselves from Brgy. Aganan to the town’s plaza for a dance-drama competition with a storyline reflective of Tigkaralag. Held every 30 October, the festival was conceived by Cecilia H. Capadosa in 1992. Recently, Baye-baye night was included as a side event of the festival in celebration on one of the town’s industry, the Baye-baye. Pavia Parish Church, popularly known as Sta. 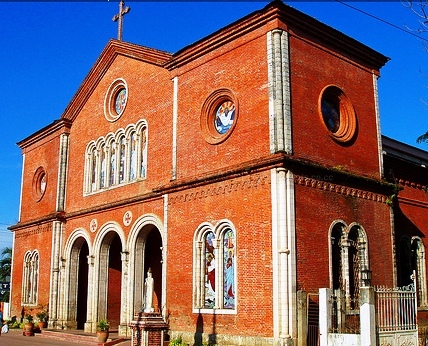 Monica Parish Church is a century-old church built by the Spanish Augustinian Fathers sometime in 1862. Its interior and exterior walls are made entirely of red-bricks, making it the only existing brick-constructed church in the island of Panay. This church is similar to the church of the town’s namesake, Pavia in Italy.